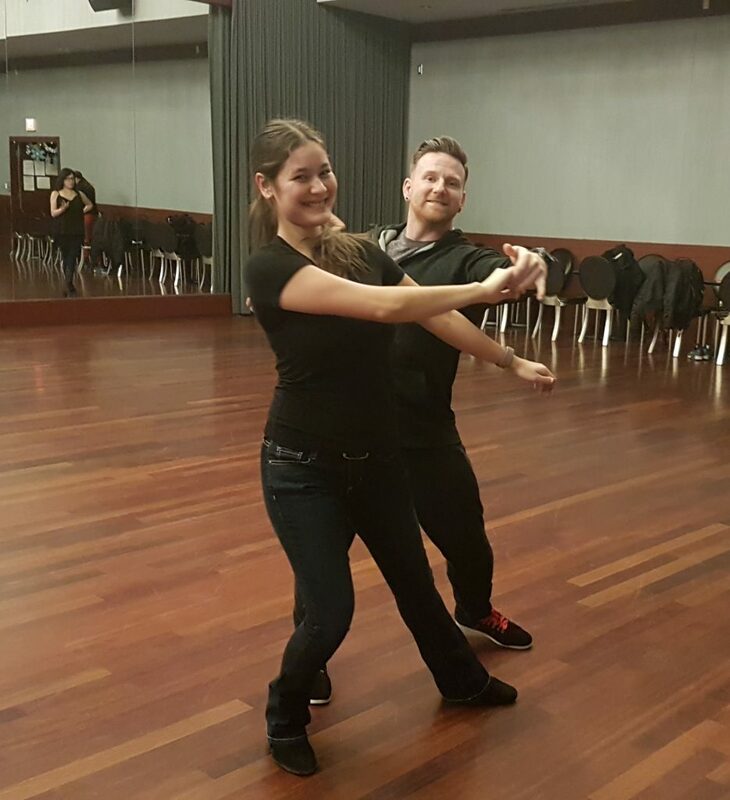 How can I learn West Coast Swing? This is where most people start. Group Classes are advertised in the newspaper, on social media, and on flyers and posters around the city. Dance studios are the most likely place to find them, but bars/clubs frequently offer drop-in lessons early in the evening before the DJ takes over. They’re usually weekly, 1-1.5 hours per session. The vast majority of studios offer class series which last for 4-10 weeks in a row. The cost varies $5-20 per class, with the average being $10 per hour. Sometimes a studio will offer a full day of group classes on one theme, taught by one instructor. This is called a workshop, and is discussed next. Learn to adapt to different leads/follows. Private lessons are one-on-one instruction with just you and the instructor. This is your chance to get personal attention and the feedback you need to progress exponentially faster. Many instructors offer private lessons in addition to their group classes. The value of the instruction will vary depending on the level and expereince of the instructor, the instructor’s education and training, their teaching ability, their currency in the dance, and the teacher-student chemistry you have with them. Take private lessons with a friend to split the cost and gain a dance practice partner. Go social dancing between lessons to practice. Workshop weekends are an excellent way to supplement your learning. A local studio brings in a top professional to coach them and their students in an intensive group class setting. Usually a full day or two days of classes are offered, and usually along a certain theme. Instructors who take responsibility for their own professional development and for bringing their students the most current, accurate, and highest quality information always offer at least one or two workshops per year. Be sure not to miss it! THESE ARE NOT INTENDED TO REPLACE LIVE LEARNING. This allows students to learn from home or review what was taught in a workshop. Video also allows instructors to pass on new ideas and technology quickly, and to reach remote areas which don’t get frequent training opportunities. Because some technologies are available to everyone, there are many examples of poor instruction or poor dancing out there, which requires some research on the viewer’s part. Because WCS is a constantly evolving dance, the technology and trends are changing yearly. Like encyclopedias, videos that were excellent learning resources years ago are now out of date and have been replaced. 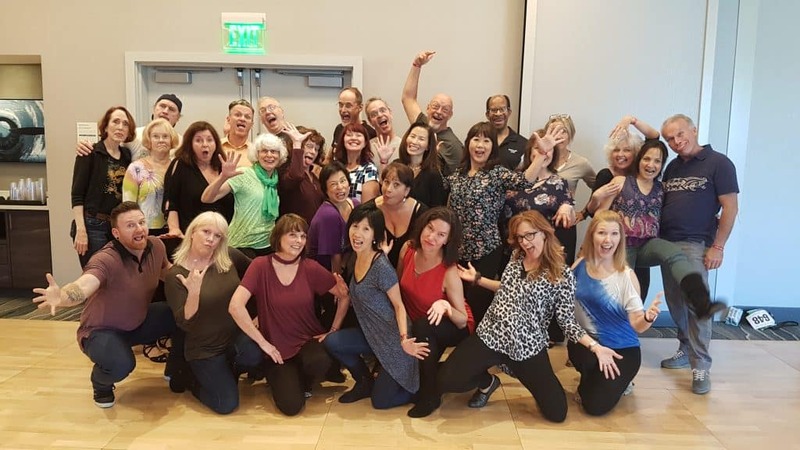 Be sure to invest in current productions (within the last 3-4 years), and don’t learn from only one instructor – learn from many and get a balanced approach. You Tube: Seems like an invaluable tool to promote WCS to potential dancers, as long as the appropriate content is shown. Be wary of anyone demostrating WCS in a skirt and heels – this is Ballroom style WCS, and is not authentic WCS. Same goes for instruction: Anyone of merit in the authentic WCS world does not produce free instructional content on You Tube. Trying to learn patterns without learning the technique first to pull them off. When you take a workshop from an instructor who impresses you, buy their video (as long as it’s current). Ask them to recommend one for you. Keep the website/contact info of that instructor so you can ask questions after watching the video. Take private lessons to clarify things you learned from the video. Be aware that videos do not replace personal instruction. Be aware that most videos teach patterns assuming you already know the technique. Technique videos are rare, so be sure to get your hands on them!